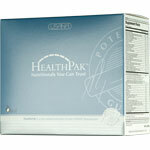 An important selection of key USANA® supplements pre-packed in convenient AM and PM pouches. 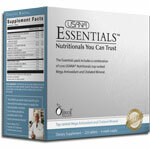 The USANA Essentials? supplements provide a broad range of essential vitamins, minerals, antioxidants, and other micronutrients to maintain long-term health and well-being. * This exclusive formula also contains USANA's patented Olivol® olive-fruit extract, an ingredient that cannot be found in any other multivitamin/mineral formula. 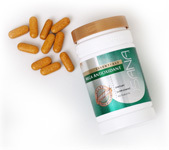 USANA?s daily vitamin and antioxidant supplement for all adults. Don't be fooled by a "Super Shake" Trust USANA!